Buying a multimedia novel with a tweet. Is this the future? This week a multimedia novel was longlisted for the Man Booker Prize. 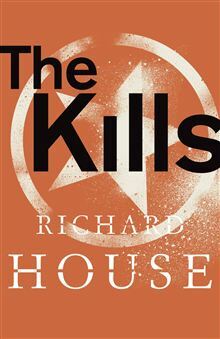 The novel is called The Kills, by Richard House. It’s not my usual genre of romance, by any means :) , but it looks a gripping thriller, with an unusual concept, and I’m really looking forward to reading it. So basically, you can read the book without watching any of the video clips if you want, but the author thinks you”ll get a richer experience by watching the additional material. you can download the standard ebook. The website links will be included in the ebook, but for people who have ereaders such as a Nook and Kindle (that is, practically everyone), you’ll still have to switch on your computer and go to the website and type in the links to watch the videos. if you have an iPad or iPhone, you can download the enhanced ebook, and you will be able to watch the videos and listen to the audio directly on your device. So basically, it’s just a normal book, with some video clips on the internet. I’ve only watched one of the videos so far, and I thought the photography and the voiceover were excellent. It shows the view from the window on a bus journey in Iraq, through the mountains, whilst the male narrator describes reading A Thousand and One Nights to his girlfriend on the bus. The scenery was superb, and the narration really stuck in my mind. If you’re on Twitter, you can download the first book for free by sending a tweet, and there is a hashtag to go with the book (of course! ), which is #whoissutler. Is this the future of reading? I’m not sure. The author of The Kills is an artist and film-maker, as well as a writer, plus he’s also editor of a technology magazine called Fatboy Review. He created his own videos and audio content. How many writers can do the same? I for one would have no chance. So if the writers can’t produce their own mulitmedia content, that means the publishers will have to produce it for them, which will be expensive. I have heard that there are some romance publishers who are wanting to go down this road. Of course publishers would be happy to produce multimedia content for best-selling authors, because it will be worth the outlay, but I really can’t see how this will work for every contemporary romance they publish – unless we writers take a film-making course and produce our own, at our own expense! Also, do we really need the multimedia content, anyway? There is a review by “Captain Crusty” on the ARRSE website (ARmy Rumour SErvice – obviously British Army humour hasn’t changed much since my dad was in the army :) ) , and he says: The additional material does add to the experience…but only in the same way that a diagram or picture would have done in traditional paper-based media. I remember the days when you used to get a free treasure map in a book about pirates, and it was really exciting. Is Captain Crusty saying the extra content is just the equivalent of a free treasure map? Maybe, but it’s a much more expensively produced map. I’m really intrigued to see where publishing is going to go in the future. 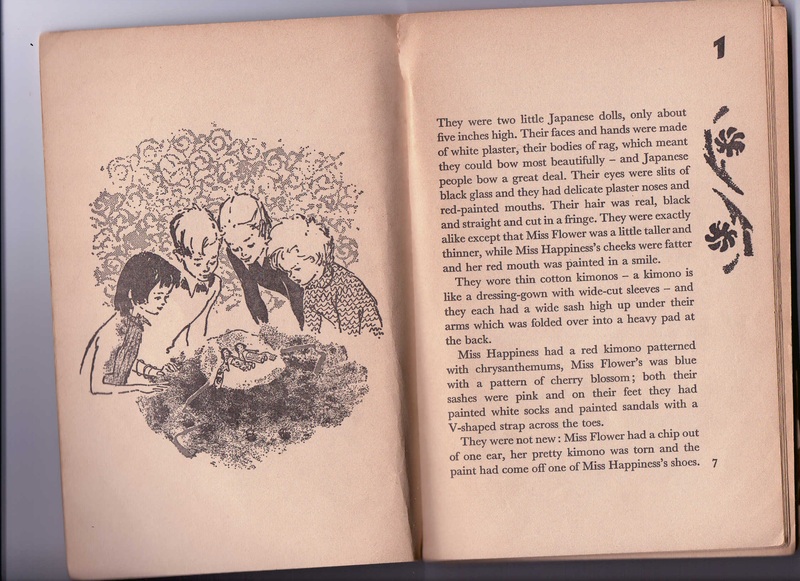 I remember having a pop-up book of The Wizard of Oz when I was little, and thinking the page where the Emerald City pops up was the most beautiful thing ever. Maybe children in the future will be amazed at whole 3D cities appearing out of their reading tablets. Who knows? It will be interesting to find out! Have you read any multimedia novels? Have you ever heard of any multimedia romance novels? And what’s your opinion? Is this the future? If you have any comments on this fascinating subject, I’d love to hear from you! I’m with you , Helena. This is an interesting concept but I already have enough problems dealing with computer stuff beyond typing up my stories. However, as creators of stories, we also have to find ways to market our works, so I say good luck to anyone who comes up with an interesting idea of enhancing the readers experience. Thanks for your comment, Mary. I’m interested to see what happens in the future. I know there are romance publishers who want to go down this route, but I don’t understand how the additional material will be created and financed. I thought I’d done well to get a book written and published – now maybe that’s not going to be enough! This does sound like a new reading experience for adults. I know there are interactive children’s books, but can only be published on iTunes. I wonder if the action in the novel is well paced, I don’t think I’d want to stop and watch a video, but since I don’t know what the video is, perhaps I shouldn’t judge it. I’ll be interested in knowing what your review of it will be. Hi JQ, I’m with you – I don’t think I’d want to stop and watch a video, either. I think you can read the book, then watch the videos afterwards, but I worry that the videos might spoil what I have in my own imagination – like when you watch the film of a book, and it ruins it. I didn’t know there were kids’ interactive books, but I guess that makes sense. I think they wold work well for children, and encourage them to read. When I was younger, I would have loved them. Have multi-media books progressed since you posted this? I want to know! I want my next business book to be multi-media and I am educating myself. Anything you can share would be appreciated!! Hi Seth, thanks for dropping in. I write this blog about fiction mainly, and as far as I know, multimedia fiction hasn’t progressed much since I wrote this post. Personally I don’t think it’s a medium that lends itself to fiction. I hear it’s an excellent medium for science books, though, and for children’s books, so I expect a business book would work really well. Wishing you the best of luck with your book and your research! Thanks for your speedy response and the ability to drop in and chat. I appreciate that very much. Best of luck in your writing! Can I still tweet this author and get a sample of the book? I found this very interesting as well. Partially because I published a multimedia novel. I thought it was a new idea, as this hasn’t been attempted much in the States. My novel is about a hip hop artist who’s offered a record deal but he suspects his music is being used to promote an occult agenda. The story is a cross between the movie 8 Mile and the DaVinci code. Since its centered around hip hop, we produced music that characters perform in the story (Visit http://www.ixirotk.com for more info). I think the most important thing authors have to do is create a compelling story that’s great without the extra content, and the content can’t detract from the reading experience. It’ll be interesting to see where this format goes but in the U.S. we are seeing this media convergence happen in other industries. I’m betting it’ll hit the publishing industry as well. Hi Bryan, I love the sound of your interactive book. I hadn’t thought of adding music. What a great idea! That’s one that could work in so many ways. I’m not sure you can still get the first book in The Kills just by tweeting. It was a few years ago that I posted this. I haven’t heard of any other developments in multimedia fiction since then, although people do tell me that multimedia science books are a great resource, and that children’s multimedia books are taking off. I can see that really happening, as a lot of children use iPads in schools here. I’m interested to see what happens in the future. I love the film 8 Mile, and I really admire you for having such a creative idea. Best of luck with your project!